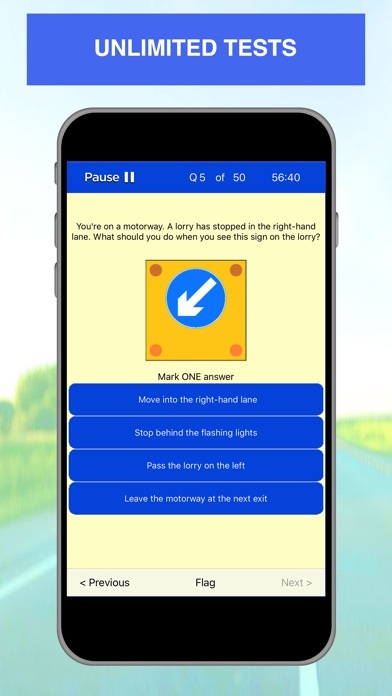 Driving Theory Test app includes all the official DVSA revision questions from the people who set the actual exam. For CAR and MOTORCYCLE drivers. It will give you a HUGE ADVANTAGE in passing your theory test on your first attempt. 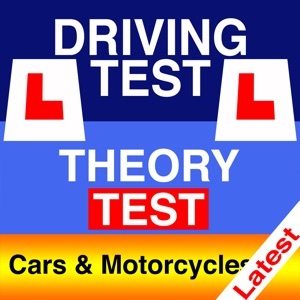 The theory test requires candidates to demonstrate they have a good knowledge of the theory behind safe driving. This app allows you to detect your weaknesses and make improvements without having the upset of failing the test, or the expense of booking another one. 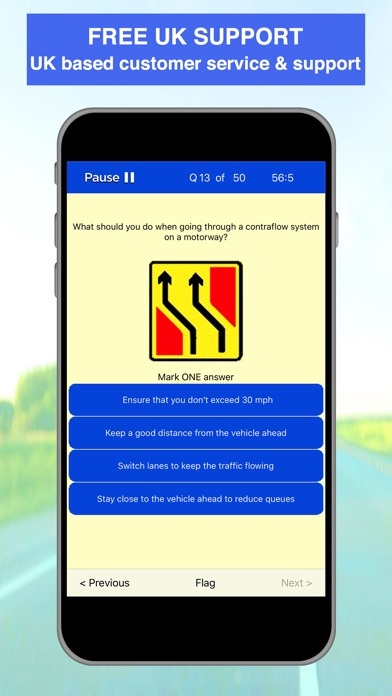 • OFFICIAL DVSA CONTENT - Contains ALL the latest DVSA Theory Test revision questions, answers and explanations from the people who set the tests. • PRACTISE - Test yourself on specific categories. • MOCK TESTS - Practice unlimited mock tests with interactive case study questions, structured just like the official test. • REVIEW - See where you went wrong and how to improve for next time. 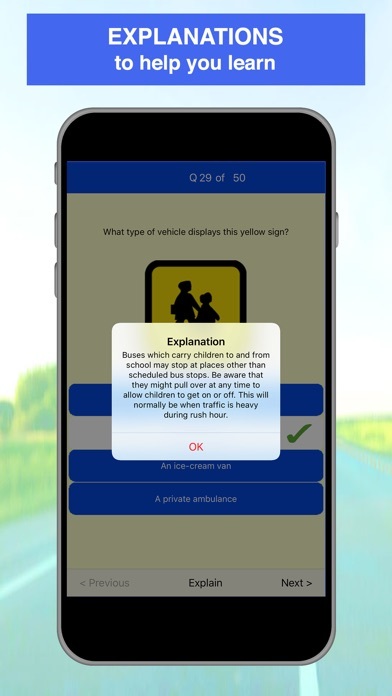 • EXPLANATIONS - Contains ALL the official DVSA explanations to help you learn and understand the correct answer. • PROGRESS MONITOR - Keep a track of your progress so you know which categories need a bit more revision. Know when you’re ready to pass. • WORKS OFFLINE - The app does not require an internet connection once downloaded. So you can revise anytime, anywhere without worrying about data. 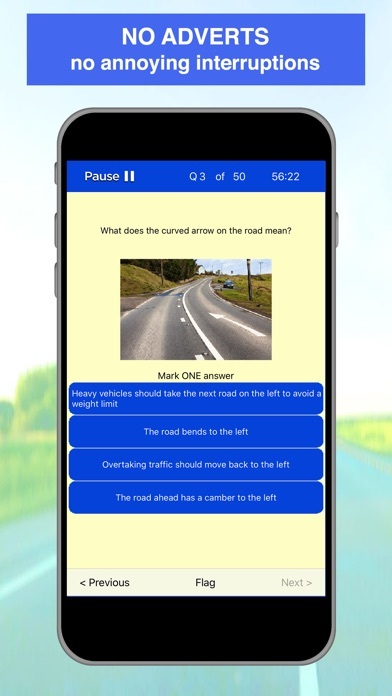 • SUPER FLEXIBLE - Comes with powerful and easy-to-use settings which make practising for the theory test exam easy for everyone. • NO ADVERTS - No annoying interruptions. • FREE UK SUPPORT - Free UK based customer service & technical support You will: * have all the practise you need before the real thing * be mindful of time limits * be familiar with the kinds of question you will be asked * understand what's being asked * know the question styles and responses A HUGE ADVANTAGE for learner UK car or motorcycle drivers who want to pass their DVSA theory test. When you are ready, you’ll know you are ready. Crown copyright material reproduced under licence from the Driver and Vehicle Standards Agency which does not accept any responsibility for the accuracy of the reproduction. 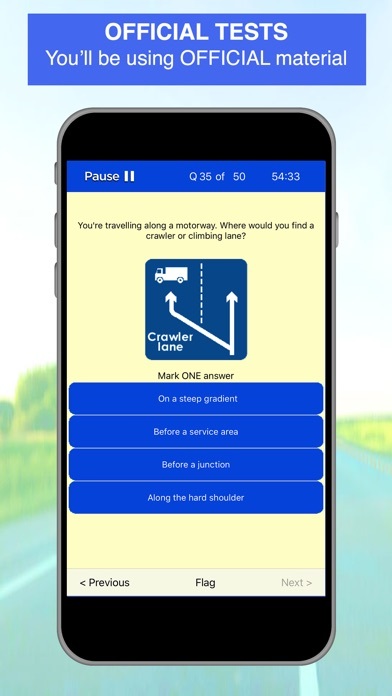 * When you buy this app 28p goes to the Driver and Vehicle Standards Agency to help make our roads safer.